A longtime yogi and a health clinician, Kate started teaching and practicing yoga-as-therapy eight years ago. 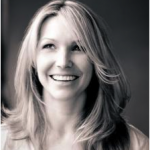 She is the founder of Soulful Yoga Therapy, where she currently offers psychotherapy and yoga-as-therapy to adolescents, adults, families and couples, as well as facilitating training programs and workshops on yoga-as-therapy throughout New England. Kate is also a member of the International Association of Yoga Therapists. Formerly, Kate used her skills at the Brookline Trauma Center, where she assisted in research studies on yoga and mental health. There, she was privileged to lead the women’s trauma-sensitive yoga group – a program initiated by Dr. Bessel van der Kolk and David Emerson. Her past also includes work as a clinician at Wayside Youth and Family, providing psychotherapy to adolescents in a day treatment, residential, and acute care program. As the founder of—and a practitioner at—Soulful Yoga Therapy, I often have direct experience in the treatment of survivors of sexual violence and other traumas when offering psychotherapy and yoga as therapy. Further, Module II of my 100-hour accredited training focuses entirely on using my expertise to train other professionals and prepare them to offer support to trauma survivors via yoga-as-therapy. I am passionate about offering a holistic mind/body approach to help survivors heal and feel empowered in their bodies. I feel that this is my hearts work and I love it! I am deeply passionate about trauma-informed yoga and counseling and feel that providing trauma-informed care when offering yoga as therapy or counseling should be a basic standard practice in this field. Soulful Yoga Therapy specializes in yoga-as-therapy and psychotherapy for managing depression, anxiety, and trauma using asana, pranayama, mantra, and meditation techniques to empower individuals with a deeper awareness and understanding of the mind and physical and emotional bodies. I work one-on-one with individuals offering a full body trauma-sensitive approach to health and healing. The “top down” nature of psychotherapy and the “bottom up” nature of yoga as therapy is a powerful combination for healing. Through yoga and psychotherapy, the integrated nature of the physical body, emotional body and mind body is honored, empowering you with a deeper awareness and understanding of the mind, physical and emotional body. I always work from a trauma-sensitive lens to safely and ethically practice yoga-as-therapy and counseling. More specifically, my goal is to create a safe secure physical environment, I am committed to meeting the client where they are and empower the individual as the authority on themselves, their work and their needs. All practices are offered as an invitation to the client. I am also experienced in working with adolescents in a school setting providing counseling for the past four years. Many of these clients are survivors of sexual violence. I offer a sliding-scale for clients in my practice.